Now Abraham moved on from there toward the south country, and lived between Kadesh and Shur. For a while he stayed in Gerar, and there Abraham said of his wife Sarah, "She is my sister." Then Abimelech king of Gerar sent for Sarah and took her. Now Abimelech had not gone near her, so he said, "Lord, will you destroy an innocent nation? Did he not say to me, 'She is my sister,' and didn't she also say, 'He is my brother'? I have done this with a clear conscience and clean hands." Then God said to him in the dream, "Yes, I know you did this with a clear conscience, and so I have kept you from sinning against me. That is why I did not let you touch her. Now return the man's wife, for he is a prophet, and he will pray for you and you will live. But if you do not return her, you may be sure that you and all yours will die." Early the next morning Abimelech summoned all his officials, and when he told them all that had happened, they were very much afraid. Then Abimelech called Abraham in and said, "What have you done to us? How have I wronged you that you have brought such great guilt upon me and my kingdom? You have done things to me that should not be done." And Abimelech asked Abraham, "What was your reason for doing this?" Abraham replied, "I said to myself, 'There is surely no fear of God in this place, and they will kill me because of my wife.' Besides, she really is my sister, the daughter of my father though not of my mother; and she became my wife. And when God caused me to wander from my father's household, I said to her, 'This is how you can show your love to me: Everywhere we go, say of me, "He is my brother."'" Then Abimelech brought sheep and cattle and male and female slaves and gave them to Abraham, and he returned Sarah his wife to him. And Abimelech said, "My land is before you; live wherever you like." To Sarah he said, "I am giving your brother a thousand shekels of silver. This is to cover the offence against you before all who are with you; you are completely vindicated." Then Abraham prayed to God, and God healed Abimelech, his wife and his female slaves so they could have children again, for the Lord had closed up every womb in Abimelech's household because of Abraham's wife Sarah. When he was alone, the Twelve and the others around him asked him about the parables. He told them, "The secret of the kingdom of God has been given to you. But to those on the outside everything is said in parables so that, 'they may be ever seeing but never perceiving, and ever hearing but never understanding; otherwise they might turn and be forgiven.'" In Genesis chapter 12 the subject was Abraham's sojourn in Egypt. This symbolized the instruction that the Lord received in factual knowledge when he was still a boy. In chapter 20, the subject is Abraham's sojourn in Gerar, where Abimelech lived. This sojourning, in a similar way, symbolizes instruction that the Lord received. But now it is instruction in the principles of kindness and faith. The particular subject in this chapter is the source of the principles of kindness and faith--specifically, that these principles are spiritual and come from heavenly origin, not from the rational mind. For the last three weeks we have been covering Genesis chapter 19--a very tough chapter. And even though our general sermon series is about the inner life of the Lord, we have drifted away from that theme in the last few weeks, and toward humankind and our spiritual struggles. This is not a coincidence. Even Swedenborg, in interpreting Genesis 29 with its terrible events, focuses more on the human condition than on the Lord's inner condition. Today we return more fully to the Lord's inner story, while continuing to look at our story. One of the beautiful teachings of our church is that the Lord's story is the pattern for our story. The Lord's life--his struggles and triumphs, his inner story--is the model for human lives. So whatever level we look at, we gain insight on our own spiritual growth. Let's give today's story some background. Our reading from Swedenborg mentions that this chapter parallels the story in Genesis 12. That chapter tells the story of Abraham sojourning in Egypt. In today's chapter, Abraham sojourns in Gerar, which is in the part of Canaan where the Philistines lived later on in the Bible. Spiritually speaking, the story of Abraham sojourning in Egypt is the story of the Lord Jesus as a young boy when he was learning. He was learning all the "facts" of his religion. He was studying the Scriptures--the Law and the Prophets. We know that by the time Jesus was twelve, he had a very solid knowledge of the Scriptures of his church. This knowledge didn't come automatically. 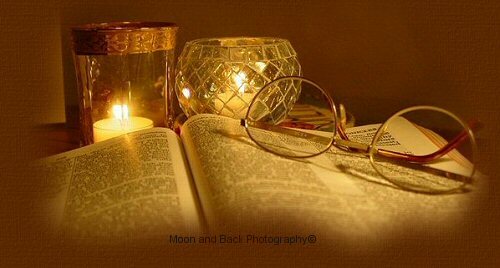 Jesus had to sit down and study the Scriptures and the teachings of his religion. Spiritually, the story of Abraham's sojourn in Egypt is the story of the Lord learning the factual knowledge of the religious teachings of his church. This was required as a foundation for everything that came later. Now let's step back even farther for a minute, and consider the relationship of the spiritual meaning to the literal meaning of the Bible. One of the general principles of the Lord giving revelation to humankind is that God has to speak at the level where the people on this earth are. If we look at the Old Testament, there is very little about truly spiritual subjects. The Old Testament says almost nothing about the spiritual world; it says almost nothing about the inner aspects of our spiritual growth; it says almost nothing about the entire higher level of religion. It also says very little about the inner nature of the Lord. The literal sense is like this because it was being spoken to people at a time in human history when almost everyone was focusing on the external aspects of life--on behavior. People's attitude toward religion and God was: You tell me what to do, and I'll do it. Or maybe I won't do it. I may refuse to do it. But it was all on the level of outward behavior, and not on the level of inner, spiritual life. If we want to derive deeper meaning from this, it has to be on a whole different level. As a result, the spiritual meaning of the Bible is often very different from the literal meaning. In fact, it is often so different that those who haven't studied correspondences and learned something about the nature of the spiritual meaning may think that it is very farfetched. How in the world could these meanings come out of that story? It just doesn't compute. That's because when we look at the literal, we are dealing with a whole different level of human existence. We are dealing with the outward, behavioral level, whereas the spiritual meaning deals with the inner level--the level of our thoughts and feelings, of our inner struggles. And those levels of ourselves often look very different than what we do outwardly. So even if the meanings given this morning for the story in Genesis 20 may sound a little farfetched, that is what happens when we go to the higher levels of meaning in the Bible. We will not look at all the reasons why these things mean what they do. For that you'll have to turn to Swedenborg. He spends many, many pages interpreting Genesis chapter 20, and all the other chapters in Genesis and Exodus in his work Arcana Coelestia. When we begin to grasp the spiritual meaning, it talks not only about the Lord's inner life, but about our inner life, and the struggles we go through on an inner, spiritual level. Though we have been on a different track for a few weeks, there is a progression to the whole story. The Lord's story as it is told in Arcana Coelestia covers a subset of the Bible. In fact, Swedenborg starts the Lord's story at Genesis 12, and concludes it at the end of Genesis. That section is taken as a unit, telling the entire story of the Lord's life. Just to catch up, let's do a whirlwind tour of where we have been. Where have we been so far in the Lord's life, and in our parallel life? We started with Genesis 12. This is when God called Abram from his family's home, and sent him on a journey to the Holy Land. In the Lord's life, this is the first inkling that there is a deeper level to life. As a very young boy, the Lord felt a call from the Divine within to go to a deeper, higher plane of existence. In our life, it is God calling us and telling us that there is more than this outer life. There is more than working, eating, and sleeping. There is a whole new land of deeper reality that God calls us to explore, and to settle into. We then go through Genesis 13 and 14. Abram had his nephew Lot with him, and we get the first battle in the Bible. This parallels our story. When we first begin to turn our life toward spiritual things, it's not easy. We have to battle our old self. We have to struggle to attain even the first beginnings of our spiritual life. And the Lord had to do that as well. In chapter 15 God makes a covenant with Abraham. After we have put out some effort and done some struggling for the spiritual life; after we have "put our money where our mouth is"; after we have actually done something instead of just talking about being spiritual, then we feel God's presence within us in a new way. We feel a new connection with God--a covenant with God that we hadn't had before. And the Lord, in his life, gained a far deeper connection and oneness with his own Divine soul within. Meanwhile, we are still trying to understand what religion is all about. And so was Jesus. The story in Genesis 16 of Ishmael being born to Abram and Hagar, his wife Sarai's slave woman, represents our first attempt to understand religion. And this early understanding has a lot to do with wanting to feel good about ourselves, and to think that we are good because we are religious. The Lord struggled with this internally as well. But we overcome that. In Genesis 17 and 18, there is another covenant--this time, the covenant of circumcision. And at this time, the birth of Isaac is predicted. This is also when Abram and Sarai have their names changed to Abraham and Sarah. They both have the name of the Lord placed in their names. Spiritually, we are to be named after the Lord. We are to have the new character that is the Lord's plan for us. Jesus felt this very deeply. He was God's presence here on earth. He was now to be totally dedicated to the Divine. In Genesis 19 there are many struggles, which we have covered in the last few weeks. Genesis 20, our chapter for today, is the interlude just before the birth of Isaac. I mentioned earlier that the story of Abraham's sojourn in Egypt is the story of learning the "facts" of religion. The story of Abraham's sojourn in Gerar, part of the land of Philistia, lifts that up to a higher level. It involves not just learning the literal sense of the Word of God, not just learning the teachings of the church, but bringing it all together, synthesizing it, and coming up with a spiritual perspective or "doctrine." For the Lord, this involved consciously learning the spiritual principles that he would use as the basis for teaching the people. So today's story is another story of learning and instruction, but at a higher level. The Lord is not just learning "facts" anymore. Now he is putting it all together. And the question at issue in this story, both for the Lord and for us, is: Where will these spiritual principles come from? Will they come from our own rational thought? Will we think about it and figure out the principles for our religious life? Or will we listen to the Lord's voice within us, and in the Bible? Let's look at this question first in terms of the Lord's inner process. Jesus had been moving from his earliest sense of his origin and his task on earth, as told in Genesis 12, to a more mature and clearly seen vision. He started out with a feeling of spiritual calling, but he needed to have a clear vision--a road map of the way ahead. He needed a clear sense of what his purpose was in his life on earth. This took many struggles and false starts, which are told in all the stories from Genesis 12 up to today's chapter. Genesis 20 is the Lord's last struggle before the birth of Isaac; before it came fully clear to Jesus what his vision and mission was. In chapter 20, the Lord is almost there, but is struggling as to where those spiritual principles are going to come from. It was a question of whether he would rely primarily on his thinking capabilities. Jesus was a very smart guy! If we watch him in action in the Gospels, we find that he was truly amazing in responding to the tough questions that were thrown at him. The people he was going up against were the cream of the crop. They were the scholars. They were the ones who had been through twenty-five years of college. They were the best! And when he went up against them, he was brilliant. So we know that Jesus was incredibly intelligent. In his younger life, Jesus was tempted to rely upon that brilliance. He was tempted to say (in modern words), "I am smarter than everyone else. I can figure things out better than everyone else. Therefore I can just blow 'em all away." In the spiritual meaning, this is what Sarah being married to Abimelech would mean: thinking that religion means being smarter than everyone else. That's what Jesus was struggling with. The fact is, he was smarter than everyone else. And he could have pushed his ministry forward on that basis. But it was not right for Sarah to be taken by Abimelech. Jesus' thinking capability had to come from a higher source. In the story, that "source" is Abraham, who represents the Lord's divine love within, which is called "the Father" in the New Testament. So the struggle in Jesus' mind was, would he be a spiritual leader because he was so smart? Or would he be a spiritual leader because he felt the love of God within him? Would he truly be doing God's work here on earth? The beautiful teaching of this chapter is that Jesus moved away from mere intellectualism. He was still the smartest man who ever lived. If we could give him an IQ test, I guess it would have to come out "infinite." But that wasn't going to be what drove him. He wasn't going to rely on external authority, on outward learning. He was going to open his spirit to the divine presence within, and get his inspiration from that deeper source. And he was able to do that in a way that none of us are capable of, because the Lord God was his own inner soul. Jesus' inspiration came from within, not from the people around him. We can see, as he engages in dialog with the Scribes and Pharisees and the people, that he looked at things from a higher perspective than any of them. It was the perspective of God. It was the perspective of love. This was the Lord's struggle. And this was where he moved forward toward a true rationality, which is symbolized by the birth of Isaac in Genesis 21. Now let's look at the parallel story in our lives. In our spiritual life, we have the same struggle that the Lord did. And Swedenborgians are especially susceptible to this temptation. New Church people sometimes make a big deal of saying that ours is a rational religion. And that is true. Our religion makes sense. But it is a temptation and an illusion to think that the reason we should believe in our religion is that it is so rational. If we rely upon human rationality, human-derived thoughts, we come to many wrong conclusions--and we reject the deepest parts of religion. With apologies to our Unitarian Universalist friends, I would suggest that the current beliefs of the Unitarian Universalist Church are the result of letting human reason determine our religious beliefs. This leads to throwing out the first two basics of the Christian Church: The Lord Jesus Christ as God, and the Word of God as sacred, divine, and inspired. Human reason, by itself, will leave behind these most fundamental teachings of the Christian Church because they cannot be derived from human reason. What is left is the ethical and moral teachings. And those are good! Yet churches that take this path are decapitated of their theology. If we follow the path of mere human rationality, we will lose our personal Lord and Savior. We will also lose the Word of God, where the Lord speaks to us. And it is not so much that what's left is bad, but that it is limited. It limits us from having the deepest experience of communion with the Lord, both directly and through the Word. Swedenborgians also have this choice. Will we be Swedenborgians because it makes so much sense? Because we can rationally argue for our beliefs? We can do this if we want. And if we do, we will leave behind the heart of our religion, the heart of true Christianity. Something deeper is needed for true religion. First, we must recognize that God has taught us the truth in his Word. We must subject our reason, not to irrationality, but to teachings from a higher and deeper source. The problem with rationality is not so much that it is wrong, as that it is limited. We can use rationality to support our faith after we have arrived at it. But we cannot rationalize our way to faith. Faith must come from a deeper source. Our first source is the Word of God. That is why God has given us the Bible. In the Bible we are taught the truth about religion. It provides a reliable source for God's teachings. And ultimately, the source of our spiritual beliefs is God's own presence within us. This was the source that Jesus turned to. We have the Bible outside of us, and the Lord inside of us. And the Lord inside is the Lord speaking to our heart. One of the surprising teachings of our church is that faith is actually love. I'm still struggling with that! It seems to me that faith is faith; it's something we think about. But Swedenborg says, no, faith is really love. Faith is really our love within connecting with God, and connecting with one another. This is what must drive us. This is what must drive even our thinking. If we think from a coldly analytical place, we will be coldly analytical about the people around us, and we will not truly love them as our neighbors. But if we think from the heart, our rationality can be a "supporting actor." We can rationally support our beliefs; yet our faith comes from a deeper source. Our faith comes from the Word of the Lord, and it comes from the heart. Amen.